ACPLM is Paving in Tampa! ACPLM is paving in Tampa and surrounding communities. If you own property in Tampa, Clearwater, St. Petersburg, or anywhere near these areas, we are at your service for all things paving-related. Every Tampa parking lot, road, and runway eventually reaches the point where it wears down, doesn’t look as easy on the eyes and possibly even poses hazards to those traversing the space. If your property has reached this point or near it, it is time to take action by tapping into the services of our paving and asphalt repair experts. We are here to pave your property so it stands the test of time. 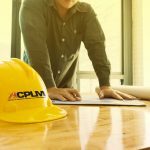 Whether you need a parking lot paved, a dependable road that your customers and staff can use without facing potential hazards or anything else related to paving, look no further than ACPLM. 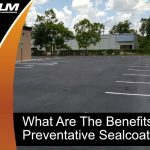 Even if you need a slight improvement to your Tampa parking lot, an alliance with the best in the business is necessary to get the job done right. 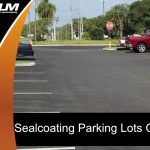 Asphalt paving and repair will remedy just about any issue you are having with your Tampa parking lot, road or other surfaces. 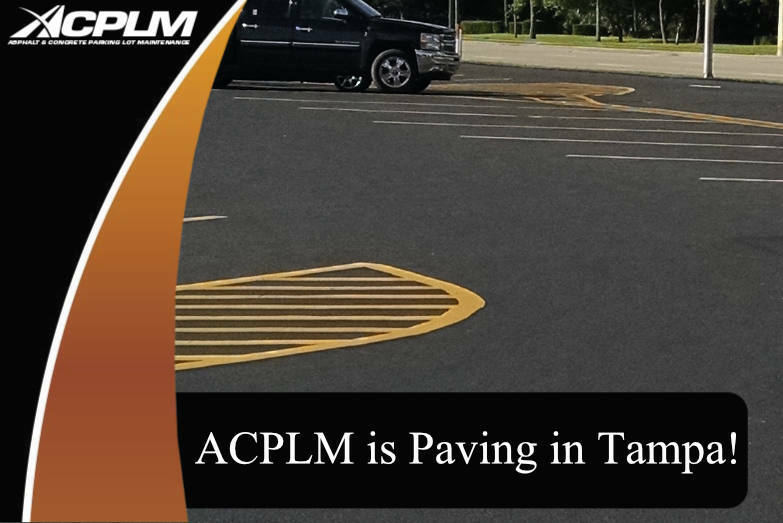 ACPLM has the long-lasting, trustworthy and affordable paving material your Tampa property needs. We service commercial clients, industrial clients, and others across the greater Tampa Bay area. These are the experts you can rely on when your Tampa property requires maintenance, repair, pavement installation and general care. Plenty of Tampa Bay business owners falsely assume anything related to paving will cost thousands or tens of thousands of dollars. 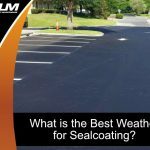 Though some paving installation and repair projects have the potential to reach this price range, the vast majority will not put a massive dent in your budget. ACPLM is revered throughout the Tampa community for affordable and reliable paving services. We have reduced costs for the installation and repair of everything from parking lots to playgrounds, roads, ports, and runways to save our clients’ as much money as possible. Yet we do not sacrifice quality in order to minimize project costs. It certainly helps that asphalt is affordable, recyclable and does not require an abundance of time to lay and cure. We have the equipment, manpower, and know-how necessary to complete your paving project in surprisingly little time. We go out of our way to reduce disruption to your business and customers. Contact us to find out the turnaround time for your paving installation or repair and you will be pleasantly surprised with how quickly we work.